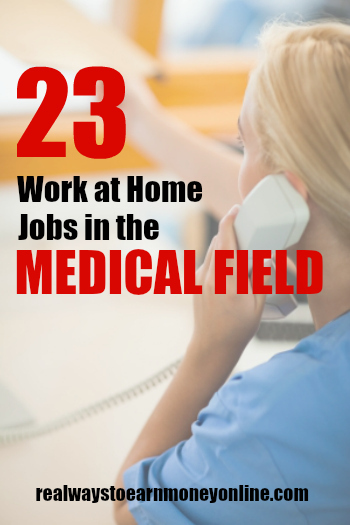 There are many companies that offer work from home positions in the medical field. You can do everything from medical billing, coding, telephone triage, and case management. FoneMed – If you are registered nurse, you can work remotely from home doing telephone triage for patients at FoneMed. This is an employee position offering hourly pay and several benefits. Nemours – Occasionally hiring for work at home telephone triage. Triage 4 Pediatrics – Hires home-based telephone triage nurses. Must have a Texas RN license. United Health Group – Sometimes has work from home openings for telephonic health coaches (among other openings). Note that this job is not always open. Wellpoint – Occasionally hiring experienced RN's to do telephone triage from home. Search “work from home” in the keyword box to see if they have any work from home positions open. Aetna – Hires work from home nurse case managers regularly. Search job openings and use “work from home” or “remote” in the keywords box to find the home-based jobs. Even though some of these positions are work from home, you may still have to live in a certain area to be considered. American International Group (AIG) – Hires work from home case managers and medical reviewers. You may be required to work onsite for a bit before being allowed to telecommute. Cigna – Hires RN's to do case management from home on occasion. Search “work from home” in the keyword field on the main site. The Hartford – Often has openings for RN's to do case management from home. Search “remote” in the jobs database to find the home-based work. Healthfirst – Hires nurse case managers to work from home. Company is based out of New York. ARO – Hires for telehealth call center work. Calls are outbound. You must be an LPN or RN to be considered. If you're looking to get training in medical billing/coding, CareerStep is one of the most reputable schools offering certification. Conifer Health Solutions – Hires experienced medical coders to work from home. Search “telecommuting” in the job search box to find the remote positions. Amphion Medical – Three years experience required. Aviacode – Three years experience required as well as certification. The Coding Network – Three years experience required as well as certification. G2N – Hires work from home medical coders. Must be certified. LexiCode – Hires people with certification along with at least two years experience. Maxim Health Information – Will hire coders to work from home that have three years experience as well as certification. Precyse – Search “All Remote Opportunities” under job listings to find the home coding positions. This one also requires the three years experience and certification. Pyramid Healthcare Solutions – Requires two years of coding experience along with certification. Lots of benefits offered by this company. Covance – Hires people in the US, Canada, and Europe to be home-based clinical research associates. Visit the jobs database and search “home-based” to find the home jobs.